Indeed was a great day to see not just friends’ n family but key IT players of Indore and InfoBeans Alumni gracing the occasion with their presence and getting inspired by the world class amenities in the office. 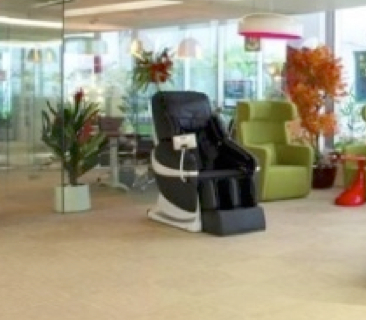 It still makes me laugh when one of the HR fraternity member questioned me do you really feel the luxuries of 3 terrace gardens, massage chair, gaming zones, xbox , pool , table tennis and huge Cafeteria will increase the productivity instead of getting the team members distracted. Truly that is what makes InfoBeans culture unique and having the comfort of its only asset “Team Member” is the highest priority. Let’s have a closer look of few of the elite elements of the new infrastructure. 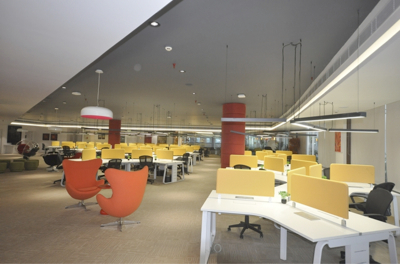 The wide empty spaces and huge working area at “Crazy Den” for every team member gets the comfort of working in your study. 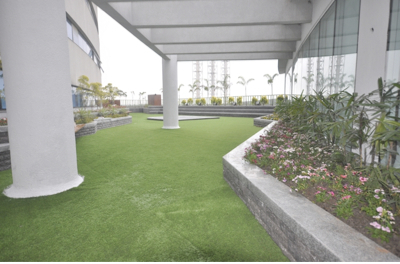 The adjoining landscape garden with exotic views creates a conducive environment to deliver WOW to our partners.The walk through the tropical flowers indeed “Refreshes” the body and soul. A blend of formal and informal discussions spaces makes the place a good choice of varied tasks & moods☺. The Pods offer very comfortable seating arrangement for casual discussions over a cup of coffee to get crazy and innovative ideas into action. 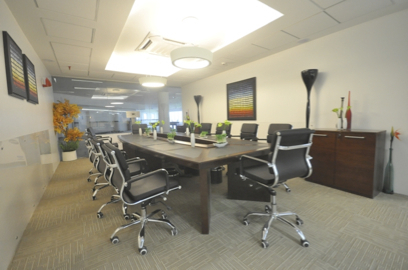 Brainstorm is techies room with Video Conferencing and advanced AV facilities connecting brains from all locations in spacious board room. 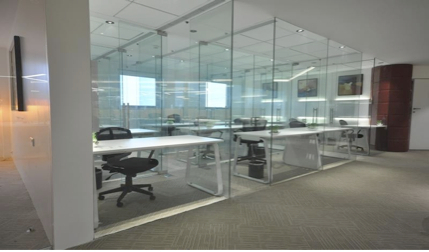 Fortune Lane offers distinctively designed cabin for all members in Sales team to give uninterrupted noise free attention to our Business Partners in US. 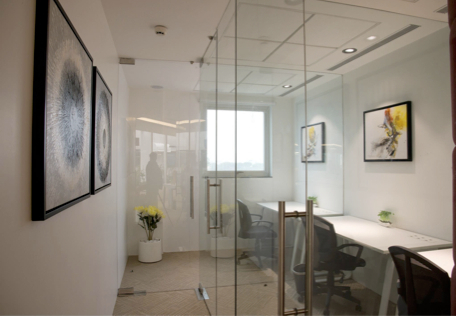 The Monk Room, my favourite corner which offers very well designed private cabins full of natural light enabling anyone to focus on a key deliverable without any distraction nor even a phone ring to keep you engaged just with your task. Believing in lying flat and let the thoughts float, gets us to another favourite space of mine the Refuel corner which has the Massage chair which gives right amount of pressure on our nerves and muscles to release the strain. 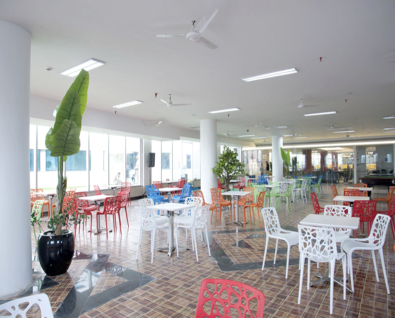 A huge, Garden view, well ventilated and well lit Cafeteria for the team members to have their meals together. A view to open to Sky and garden is eye catching. It gets very difficult to resist a game of pool or table tennis after the evening coffee. Every word of it is lived up when we see how easily the cost and economies of scale kept aside and valuing the comfort of people by giving huge empty spaces, wide working area, engaging amenities, recliners, coffee corners making it high tech infrastructure yet being close to the nature takes priority. 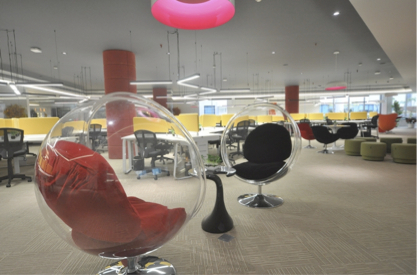 This campus surely gets us an inch closer to dream of most of InfoBees to make it the best place to work. 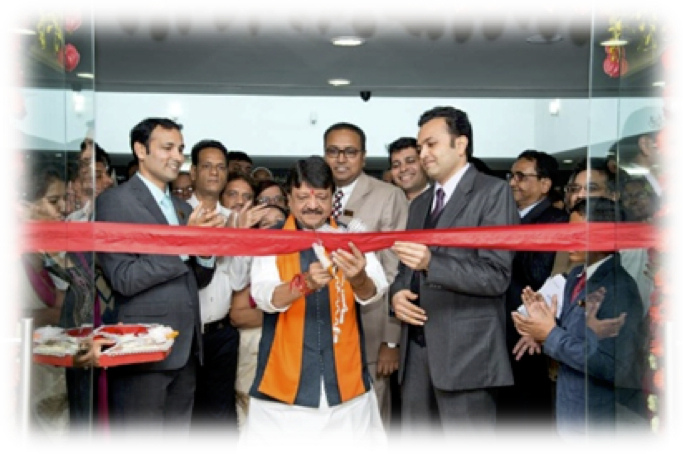 During the speech in Inauguration function the statement of Honourable Kailash Vijayvargiya Ji that we look forward for InfoBeans taking IT industry space to new heights in Central India was well applauded. Feather on the cap was the release of Letter of Allotment for Sinhasa IT Park where very soon InfoBeans will be building their own campus spread over 10 acres. It would stay incomplete without acknowledging the hard work of the Administration and Support team who have put their heart and soul into getting work on paper to reality. Great team work and collaboration demonstrated by the team. Come and visit to experience the World of WOW!